The abundance and diversity of life on our marvellous planet makes it unique and magnificent. The earth’s natural beauty doesn’t just fill us with awe but also inspires us to live life to the full. But there is one thing we must all agree. Nature looks best when it is left untouched. When humans come in nature’s way, the result usually is not very pleasant. So we must do we all we can to stop breaching in to what belongs to nature and thereby preserve its beauty. In today’s time, a national park does exactly that. A national park is an area strictly reserved for the preservation and prosperity of wildlife and biodiversity. They are usually spread across an area of 100 sq. km. to 500 sq. km. Activities like forestry, poaching, hunting, grazing or cultivation are prohibited in a national park. At these parks, care is taken to preserve every single floral and faunal species. A visit to a national park offers you a remarkable opportunity to observe nature in its raw form. Located in the district of Idukki, the Anamudi Shola Park enjoys a vast area of 750 hectares. It became a National Park in the year 2003. Within its boundaries, you will find the Mannavan Shola, Idivara Shola and Pullardi Shola forests. As visitors trek across the park, they will come across 62 varieties of trees, 39 varieties of climbers and 174 varieties of herbs. The wildlife at the park includes Elephants, Tigers, Panthers, Indian Bison, Nilgiri Tahr, Gaur, Spotted Deer, Giant Grizzled Squirrels, Sloth bears and many more. Apart from the delightful flora and fauna, tourists will also enjoy the unique biodiversity as well as the pleasant weather at the Anamudi Shola National Park. Eravikulam National Park is one of the most prominent tourist attractions in the town of Munnar. It became a National Park in the year 1978. 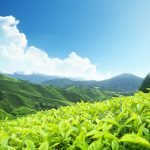 It offers breathtaking views of mesmerising tea plantations and rolling hills. 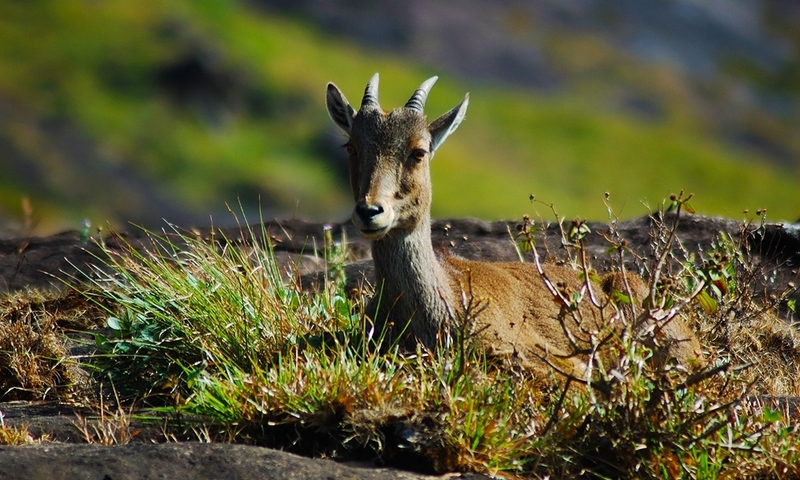 The park became extremely popular because of the frequent spotting of the endangered Nilgiri Tahr as well as other exotic animals. It is also famous for the flowering of the rare and beautiful Neelakurunji, which blooms only once in 12 years. And when it does, you will see a vast stretch of blue flowers carpeting the green hills. The sight is nothing but magical. Another highlight of the park is the majestic Anamudi Peak which enjoys an elevation of 2695 metres. Adventurers would love to trek up the peak and savour the spellbinding view from on top of it. The Eravikulam Park offers travelers a perfect experience of the Shola-Grassland ecosystem. Mathikettan Shola National Park is a must-visit destination for adventurers as well as wildlife lovers. It is located in the Udumbanchola Taluk of the Idukki district. It became a National Park in the year 2003. The park is home to colourful flora and fauna some of which are very rare species. The wildlife includes Tigers, Panthers, Elephants, Giant Grizzled Squirrels, Flying Squirrels, Spotted Deer and many more. Visitors can enjoy a fascinating trek across the park or they could try the thrilling jeep safari. The main attractions of the national park are the crocodile park, elephant safari, lion safari and the deer park. As you relish watching the variety of flowers, plants and animals, you can also feast your eyes on the many sparking waterfalls in the park. Pambadum Shola National Park is located in the Marayur village of Idukki. It became a National Park in the year 2004. Within its boundaries, the park has tropical evergreen forests covering a rugged terrain with several indigenous varieties of floral and faunal species. It is home to 93 species of moths and 10 species of butterflies. Visitors can also spot Elephants, Bison, Wild Dogs, Barking Deer and Langurs. The park has gained popularity because of its rich greenery and water sources which together create an ideal habitat for birds, animals and butterflies. Although being the smallest national park in the state of Kerala, the Pambadum Shola National Park attracts a great number of tourists because of its pleasant beauty. Periyar National Park, also known as Periyar Wildlife Sanctuary, is located near the hills of the Western Ghats in Thekkady. It became a National Park in the year 1982. Spread across a vast area of 675 sq. km, the sanctuary is home to some 1800 flowering plants, 143 species of orchids, 265 bird varieties and incredible wildlife. The wildlife includes Gaur, Sambar, Indian Giant Squirrel, Jungle Cat, Sloth Bear, Lion-tailed Macaque, Strip-necked Mongoose, Nilgiri Marten, Tigers, Elephants and many more. The park has tropical evergreen as well as moist deciduous forests, grasslands and lake and river ecosystems. Visitors can spot a number of birds and animals whilst enjoying a jeep safari or a guided trekking expedition at the park. The park also offers exciting opportunities for elephant rides in the jungle and boat safaris in the serene Periyar Lake. One of the most beautiful sights in the park is that of animals sipping water from the lake. The Silent Valley Park is located in the Nilgiri Hills of the Palakkad district. It became a National Park in the year 1983. Spread across an area of 237 sq. km, the park is the second largest national park in Kerala. A beautiful river streams through the length of the park creating a picturesque sight. The park became popular since it houses many rare and endangered species of birds and animals. Visitors can spot birds like Nilgiri Wood Pigeon, Malabar Parakeet, Great Indian Hornbill, White-bellied Treepie and many more. There are some 24 species of mammals at the park. Some of them are Lion-tailed Macaque, Malabar Giant Squirrel, Nilgiri Tahr, Tigers, Elephants and Leopards. Apart from the birds and animals, the park is also home to more than a 1000 species of flowering plants and majestic trees. It also has hundreds of varieties of moths, insects and butterflies. To experience the park to the full, visitors can enjoy the 7-km trek or the jeep safari. With special permission, visitors can trek up to an elevation of 1376 metres above sea level. All the national parks in Kerala offer an unforgettably refreshing experience for wildlife enthusiasts as well as nature lovers. Because of their raw natural beauty, spectacular views, pleasant weather and exotic birds and animals, the parks are not only welcoming but also exquisitely beautiful. Activities like trekking and jeep safari make national parks even more exciting. So why not visit a national park in your next trip to Kerala? It will certainly prove to be an experience of a lifetime.